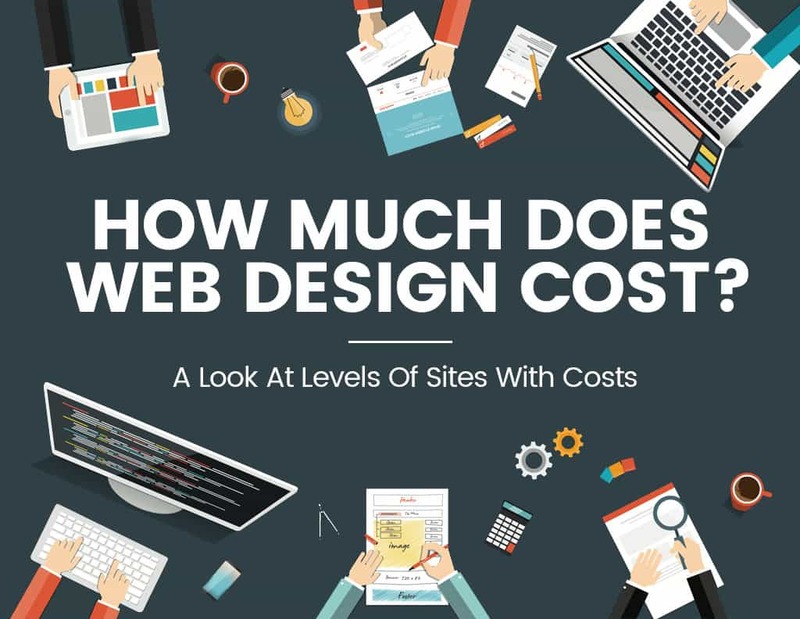 The free web design cost calculator tool is here to make it easier for customers to get an instant estimate regarding their website design needs. Our estimated quotes are for professional custom CMS website design and development. Each web design project is unique which won’t lead you to duplicated templates, and there’s no monthly fee. You may also take your completed website to host with any provider you wish. For further assistance, please call us at (612) 590-8080. The price of website should be determined by features and graphics. The range of price for a website can be from $600 to $17,000 so it is not easy to nail down a specific a website cost. We provide free web design price calculator tool on the website so that you can use this tool to calculate the cost of your website that you want to create. 1) What is your current web design need? 2) What type of website do you want? 3) How many different page layouts do you want? A new page's layout is different than that of your landing page (or HOME page). Though the new page layout will be different, the new page would have the same theme of your Landing/Home page, in order to keep your site consistent. For an example, your ABOUT US or SERVICES page may have a different page layout than that of your landing page, but it would certainly still have the same color theme. When viewers land on your HOME page, if they click on a button from your main menu or a link in your page's content that takes them to a different URL within your website, that URL would be considered a page. Common examples to consider as separate pages are the: HOME page| ABOUT US page | SERVICES page | CLIENTS' TESTIMONALS page| CONTACT US page. You can picture each of these pages as an additional door for the viewers and search engines to learn about you and your organization. Programming is a necessary step to make the graphic design (in step #3, #4 and #5 above) and other features you request work consistently for you and end-users once displayed on web browsers. The cost at this step is based on the attributes you selected; you can adjust the cost figure by changing one or more of those attributes. There are two types of content (text, images/graphics) that we will need to complete your website design optimally. You can either gather all this content for us to save money or have us produce the content for you to save time and hurdles. 7) What kind of website do you want? Basic website: is a site version created for desktop and laptop computer viewers. It would show on tablets and smartphones okay but will not auto reorganize its content and layouts for easy viewing on people's mobile devices. Mobile responsive website: is a site version designed for viewers on all devices including: desktops, laptops, tablets, and smartphones. The site will detect which device a visitor is using to view your site and auto reorganize its content and layout to make itself user-friendly on that device. Side note: A majority of consumers today access the internet using their mobile devices; so, if you intend to fully connect with your target audience on their devices you should invest in a responsive website design. However, if your budget is limited and you can't afford a responsive website design, it's better to establish your web presence sooner, rather than later, and start with a basic website. 8) When do you need this project completed?